I’m all for finding new ways to incorporate healthy veggies into my families meals. 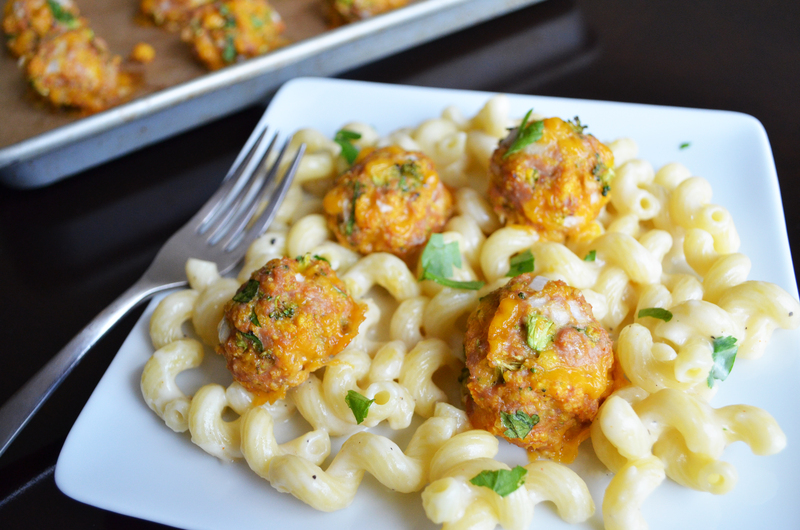 This Broccoli Cheddar Meatballs with Mac and Cheese is a perfectly balanced meal that has flavor and comfort all wrapped into one dish. So this really weird thing happened to me today, my children behaved through the entire grocery shopping trip. Which has really never happened, at least not this smoothly and I must say at the end of my shopping trip while walking out of the store I felt a whole new feeling of “Mommin Like a Boss!” I held my shoulders up high, walked out of that grocery store door feeling like unicorns are real and fairy dust was in my back pocket. I mean I’m realistic, the next time I’m shopping I’ll probably be the mom everyone goes back to staring at when my daughter throws her self down on the floor and my son tries opening the bag of chips from the cart, while he’s telling me that he will do “Whatever me want!”. BUT TODAY, I feel like a rock star and the way home was even better because no one cried, screamed or hit each other. Excuse me while I totally take all the credit for the good behavior today. This recipe was just like that shopping trip, everything worked out perfectly. The broccoli and cheddar combination is admired by so many of us and cavatappi noodles with a creamy cheese sauce is a fantastic combination loved by all. If you’re in the mood for a comfort meal, but still want to deliver nutrition, then this is a perfect balance of both. I do have my one secret weapon I use in many of my mac and cheese recipes and that’s Trader Joe’s Unexpected Cheddar Cheese. Creamy cheddar cheese with hints of parmesan and something I cant’t explain, but it’s oh so delicious. Highly recommend this cheese if you have a Trader Joe’s near you, but you can also substitute for your favorite cheddar cheese of choice. 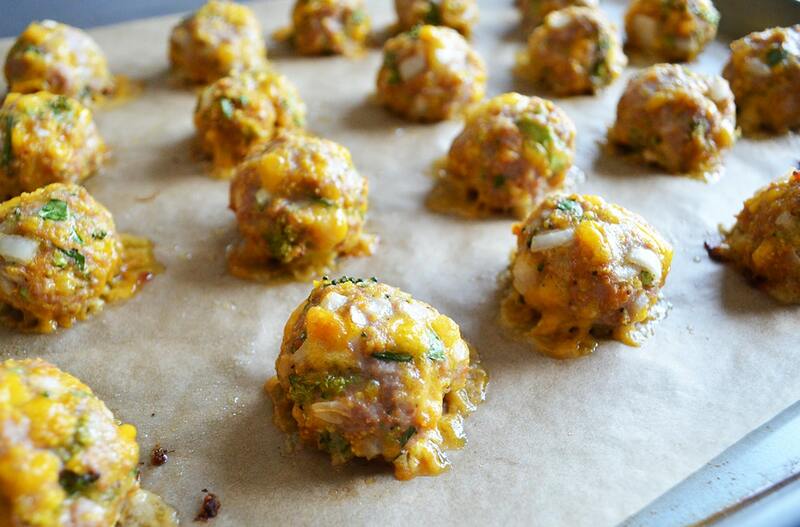 Broccoli Cheddar Meatballs all baked and ready to go on top of the creamy mac and cheese! PIN it, SHARE it and most importantly I hope you enjoy this delicious meal!